As the industry evolves, both in its makeup and reliance on technology, new policies and procedures will develop. 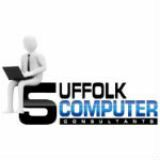 As far as technology is concerned, Suffolk Computer Consultants can help with that. If your business is in need of modern and effective solutions to power its operations, reach out to the professionals at Suffolk Computer Consultants by calling 631-905-9617.